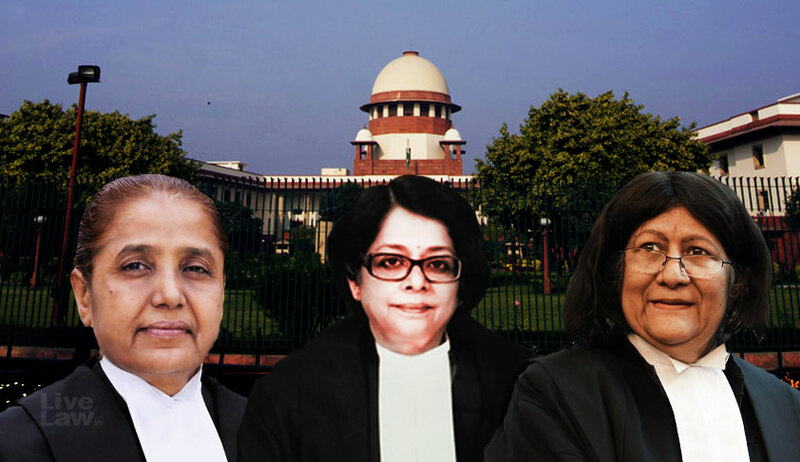 With the elevation of Justice Indira Banerjee, the Supreme Court is set to have three woman judges simultaneously for the first time in 68 years. Justice Banerjee will be joining Justice R. Banumathi and Justice Indu Malhotra. The Supreme Court has had only seven woman judges in its history, with the first one being Justice Fathima Beevi, who was elevated to the Supreme Court in 1989. She was followed by Justices Sujatha Manohar, Ruma Pal, Gyan Sudha Misra, Ranjana Prakash Desai, R Banumathi and Indu Malhotra. Most of these judges spent their tenure as the sole woman judge in the Supreme Court. The trend changed as recently as in 2011, when Justice Desai was elevated to the Bench, becoming the second sitting woman judge along with Justice Misra. The trend is set to change yet again, with Justice Banerjee’s elevation. It took more than 60 years for the Apex Court to have two woman judges simultaneously, while another 7 years for it to change the pattern again for good. Here’s to hoping for newer trends and greater representation within the corridors of the highest court in the country.